Thornhill residents and business owners can rely on the experienced crews of Avenue Road Roofing to resolve roofing issues ranging from repair work to a complete replacement and more. For more than 40 years, the skilled staff from Avenue Road Roofing has been providing the level of expertise Thornhill property owners need to diagnose and address such problems in a fast and efficient manner to help avert the possibility of more extensive and expensive structural damage. Property owners in Thornhill are no doubt familiar with the seasonal weather extremes that can impact their local neighbourhoods; therefore, they depend on their roofs to provide the level of protection they need throughout each season. Unfortunately, the age of a roof, perhaps in conjunction with weather damage or insufficient maintenance, can/will eventually create the need for professional repair or replacement services. When Thornhill property owners experience a leaking or damaged roof, they can confidently call on the roofing specialists at Avenue Road Roofing at 416-785-5129 for any necessary repairs or roof replacements. 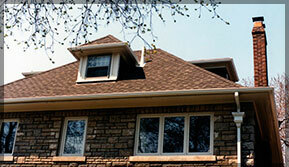 Any of the above may be indicative of an actual or soon-to-be-likely roof leak; they should also influence a property owner to request a roof inspection by Avenue Road Roofing and have the necessary repairs or full replacement completed before more extensive and costly damage can occur to the physical structure of the building or its contents. 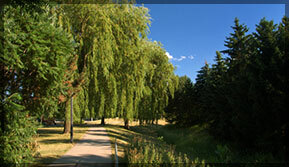 Thornhill is a large multicultural community situated along the northern border of the City of Toronto. Its population celebrates their diverse cultural traditions through a wide range of programs offered by such local institutions as the Thornhill Community Centre and Library, the Thornhill Seniors Club, and Thornhill Secondary School; in addition, volunteers from the Society for the Preservation of Historic Thornhill (SPOHT) stage an annual Village Festival. As times and trends continue to change, there are also constants with respect to the roofing services provided by Avenue Road Roofing, such as dependability, top-quality workmanship, and unparalleled customer service. When property owners/property managers in Thornhill identify or suspect the presence of a roof leak, they can count on the team from Avenue Road Roofing. For expert roof repair and replacement service in Thornhill, call the specialists from Avenue Road Roofing today at 416-785-5129 or contact us to request a no-obligation consultation.